I think these criminogenic good looks are indeed criminogenic. I've never been so tempted to turn to a life of crime. I don't think it's a defence that will stand up in court. I don't think ... but then if the judge saw the pictures ... ? 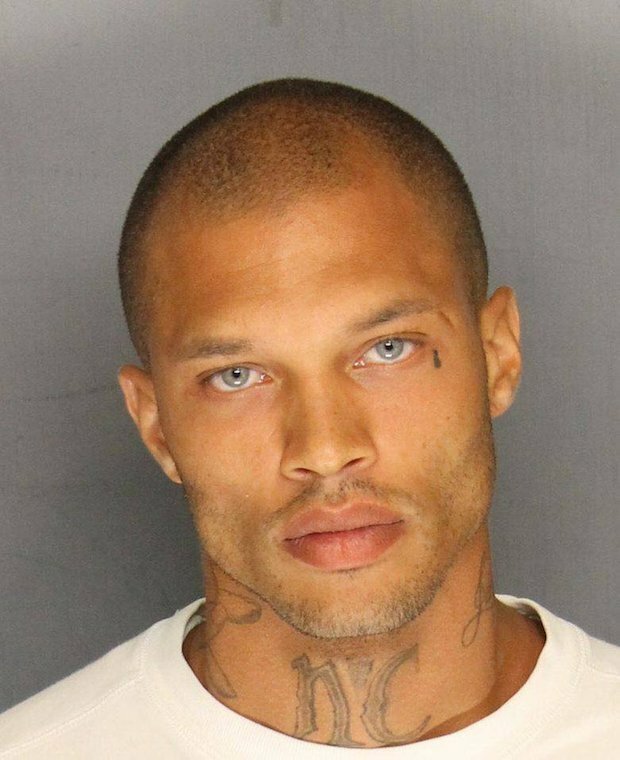 Ed I'm an immensely manly sort of man as you well know, usually chopping trees and reconditioning gearboxes before breakfast, but as a life long admirer of aesthetic wonderfulness I have to say that that Jeremy Meeks is flippin gorgeous! My father in law chopped up trees for breakfast then lifted out engines with his bear hands (he was a car breaker). That's useful. Lets see what Jeremy Meeks face is like in 40 years; Megan's too. Megan Simmons and Jeremy Meeks are perfect examples of misguided paths. There is a lot of information regarding lawyers for DUI available out there and sifting through it to find the right DUI attorney is a daunting task. I remember, hiring Los Angeles DUI attorney was a daunting task for us when my cousin got charged with DUI.